Stunning single story home on beautifully landscaped lot. Open floor plan, split bedrooms, extensive crown and laminate hardwoods. Family Room features corner stone fireplace. Elegant Formal Dining would make a perfect Study. Open Kitchen offers Corian counters, black appliances and sunny Breakfast Nook. Spacious Master boasts a luxurious bath with separate vanities, garden tub, separate shower and walkin closet. Large Laundry Room with second pantry and space for a freezer. Oversized side garage, covered patio, gutters, sprinkler system, alarm and much more. Roof replaced 6-2017. 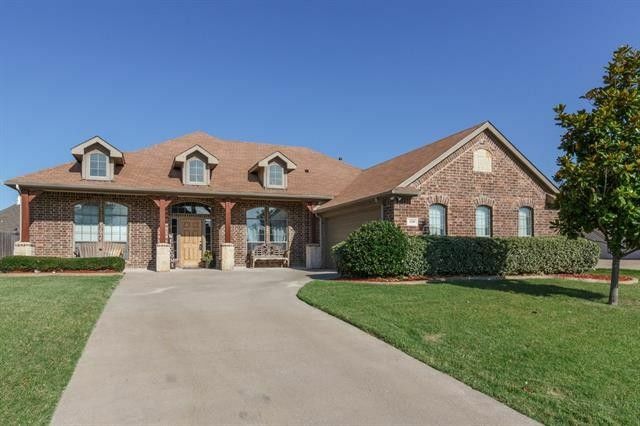 Hidden Creek offers clubhouse, pools, tennis courts, volley ball and fishing ponds. Short walk to amenity center and City Lake Park. Directions: I-30 to Royse City, North on FM-548 (Elm), Right on SH-66 (Main), Left on FM-1777 (Bulldog), Left on Hidden Creek, Left on Josephine, Right on Midnight, Right on Live Oak. Alternate: From I-30, North on Erby Campbell, Right on SH-66 (Main), Left on Houston, Right on Birch, Left on Live Oak.